SUSAN AND ELAINE TAKE NATIONAL TITLES! 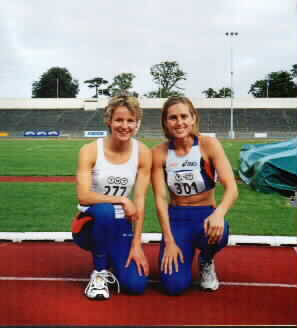 SUSAN SMITH (301) and ELAINE FITZGERALD (277) both won National titles at the BLE National Track and Field Championships in Morton Stadium, Santry, Dublin during the weekend of 24th/25th July 1999. Susan had her expected double in the 400m Hurdles (55.54secs) and the 100m Hurdles (13.49secs). The win in the 400mH was particularly praiseworthy and the time was an excellent one considering her solo run. She won the race by nearly 40 metres. Elaine won her first title and she, like Susan, has now booked her seat on the plane for Seville. This will be Elaine's debut in a major Track and Field championship. This race was the most thrilling of the day, being a winner-takes-all showdown with Olympian Sinead Delahunty; only the winner would be selected for Seville. In a reversal of pre-race speculation it was the more experienced Delahunty who tracked Elaine all the way. With tension reaching fever-pitch it was Elaine who struck first with 200m to go and with Sinead chasing hard, both women slogged it out up the straight with Elaine winning by about five metres. This will be the first time that two women from the club will go to a major championship. 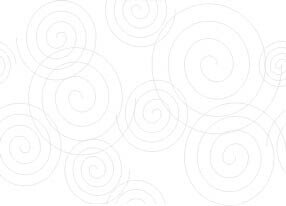 NATIONAL LEAGUE: Morton Stadium, Santry, was the venue for the club's second round National League match on Sunday July 18th, 1999. Our women's team went into the Division 1 match in 4th place overall with 109 points, while our men were leading Division 2 with 77 points. At the close of the meet both teams were confirmed as finalists, the women in overall 5th place with 219 points and the men in third with 143 points, only one point behind the joint leaders. The finals take place on August 15th in Tullamore.